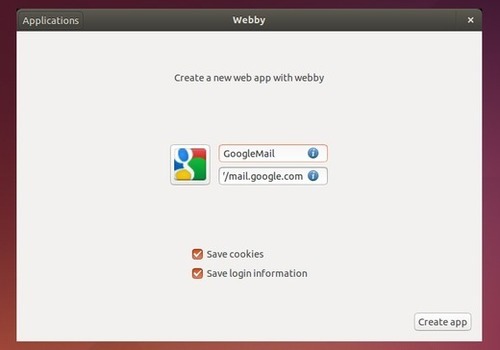 Webby is an open-source project similar to Fogger, it allows to use Facebook, Youtube, or any web app as a normal desktop app in Ubuntu. Chrome, Firefox, Opera, IE… all these are web browsers with a big toolbar and tabs. In the new era of web apps, it doesn’t makes any sense. Webby allow to use Facebook, Youtube or any web app as a regular desktop apps, integrated with the OS, without tabs and using the default system launcher. finally click the Create app button. Once Webby successfully created the app, you are able to launch it from the Unity Dash or App Menu immediately. 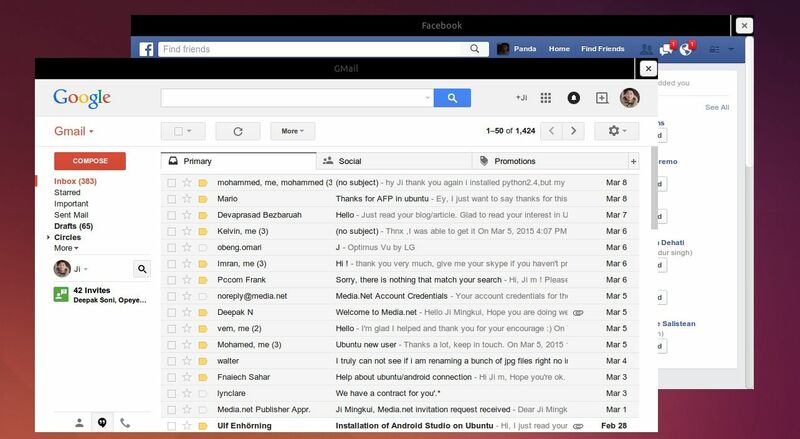 The developer has created an official PPA for this web app browser, currently available for Ubuntu 14.10 and Ubuntu 14.04. NOTE for Ubuntu 14.04 LTS user: Since the app depends on GTK >=3.12, 14.04 Trusty needs Gnome 3 PPA and Gnome 3 Staging PPA (might broken your desktop) for the dependencies. and… will it work on ubuntu ppc ??? or is it only x86/x86_64 too, how all the other ppa ??? if this so, please made an ppa for powermac-g5-ubuntu.